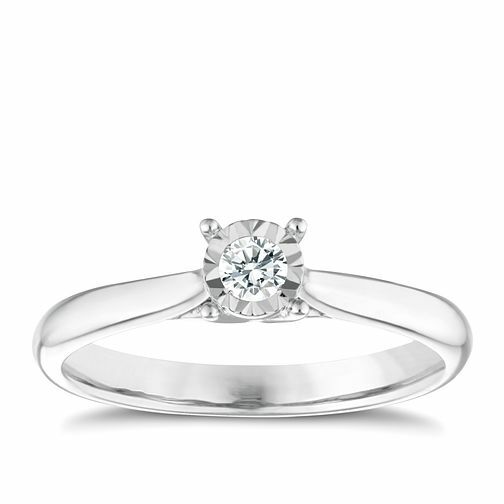 9ct white gold 1/10ct diamond illusion set solitaire ring is rated 5.0 out of 5 by 6. Rated 5 out of 5 by Anonymous from She loved it... I proposed with this ring and she said yes so very happy with it. It has a beautiful sparkle and the pic on the website doesn't do it justice.